Click on Open Mesmerize PRO Front Page. Mesmerize caters to every business with many content modules to choose from. 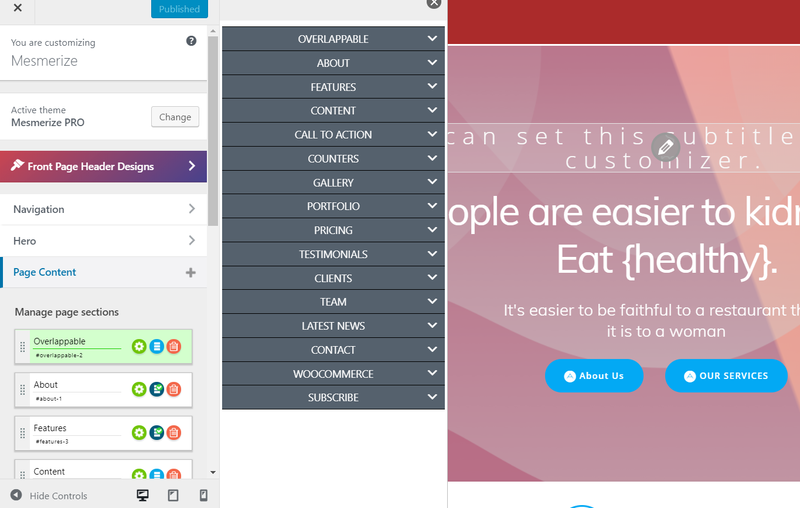 Using the builder, you use the content modules as building blocks to create any kind of site you want. 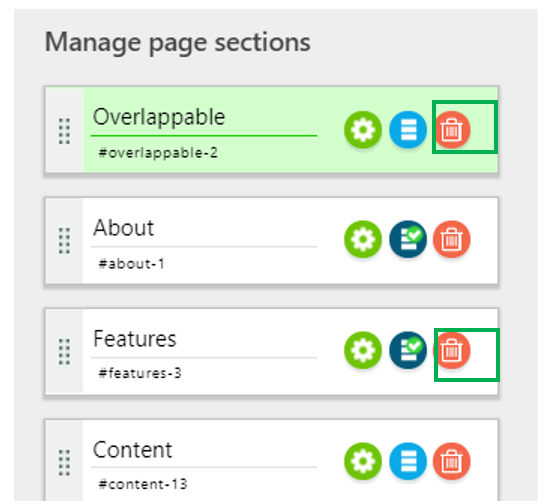 Click the plus sign next to the Page Content section. A panel will open, with all the content sections for you to choose from. Expand each of the categories that is relevant to you. Click on the magnifier on the right hand of those content sections and get previews. 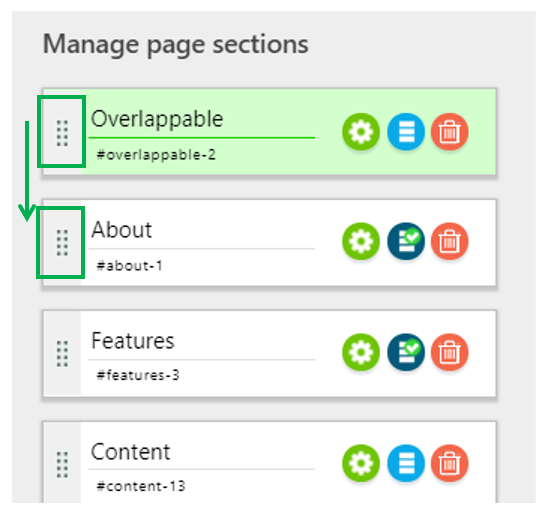 Hover over the content sections that are fit for your page and click the button “Add Section”.